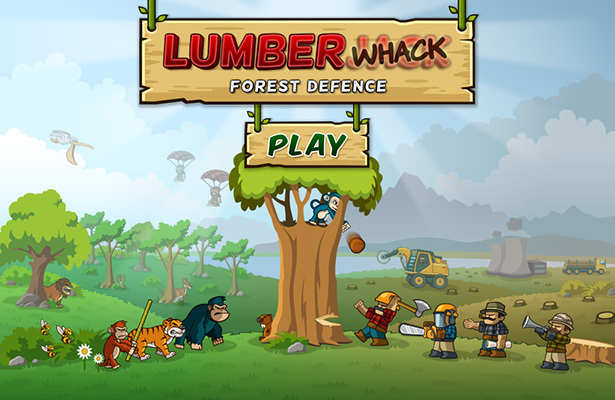 Title screen for side-scrolling defense game Lumberwhack. On the right side you have the lumberjacks cutting down the forest and expanding into the animal kingdom. The player controlled monkey and his allied animals to the left are determent to stop them with any means necessary.